When you have a vision for what you want your dream home to be, that vision is likely devoid of the many different types of household weeds and pests that too often infest yards and structures. Building a new home is one way to increase your chances of moving in without those unwanted roommates, but pests like termites, bees, mice, and others can wind up in just about any building. Staying on top of a pest-free home requires regular checks and maintenance. If you find yourself with an unfortunate termite infestation, your very first order of business should be getting in touch with termite control services. Often, by the time you have noticed signs of termites, there will already have been significant damage done to the foundation or base structure of the house. After you deal with termite control, you should have a professional come in to take a look at your home to ensure that there was no serious damage done, or to advise what remodeling or restructuring is necessary. Whatever course of action is taken, keep in mind that time is of the essence. 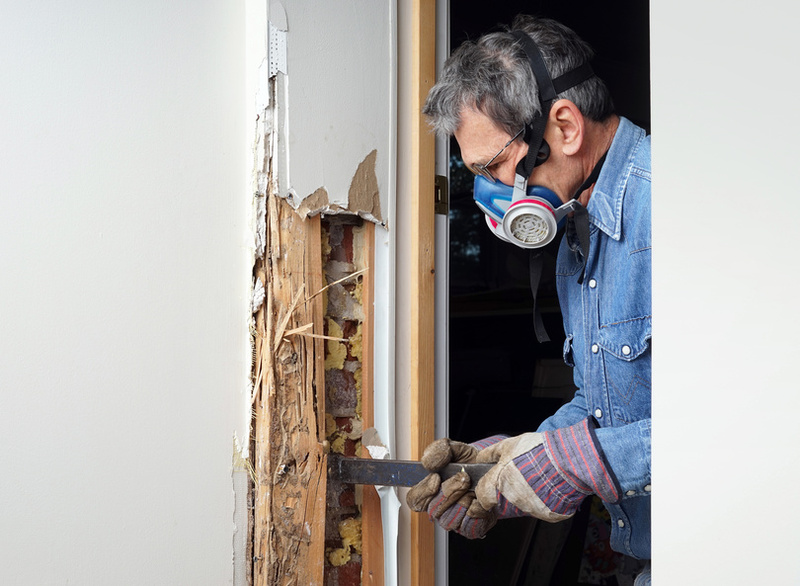 Every year, there is an average $1 billion to $2 billion spent on repairs, termite control services, and property damage resulting from termites. A good termite control service can help to minimize some of that damage, as long as you act in a timely manner. Each and every year, there are about 600,000 houses that are damaged by termite infestations. And it is not always about how much attention is or is not being paid to the details of pest deterrent. Even those who are vigilant about keeping pests from their property can find themselves in need of a good control service. In fact, all it takes is a space as tiny as 1/32nd of an inch, for a termite to squeeze its way in. Though there may be a plethora of ideas to deal with an infestation in any number of creative ways, it is best to contact the professionals. For one thing, the method used to get rid of your problem could potentially be harmful to you, your family, neighbors, pets, and others in the area. And apart from that, not every pest problem should be approached the same way. For example, you might have bees inhabiting a space that is interfering with your daily routine, but extermination is not the solution when it comes to bees, as they are an important element for a healthy environment. A quality bee removal service will be able to take care of your problem without harming the bee colony. You want to protect your home. But you also have a responsibility to do so in a manner that is safe and environmentally friendly. Keep your home healthy, as well as the entire planet while you’re at it.